[117 Pages] The bioadhesive market, along with its end products, has witnessed a high growth in the past few years. This is projected to remain the same in the next five years, especially in the European and North American regions. Leading manufacturers and their strategies to balance the current demand-supply issues and newer applications developments across the vertical industries are expected to be the key influencing factors in the bioadhesive market. The industry is expected to increase its emphasis on the use of eco-friendly diverse applications of bioadhesive that is expected to significantly drive its consumption in the next five years.The bioadhesive market size in terms of volume is projected to reach $6 billion by 2019 with a CAGR of 13.0% between 2014 and 2019. The market is experiencing high growth in the North American region. This is due to the rising demand for eco-friendly and bio-based products as well as newer domestic players and the industrial growth in the end-user industry. Environmental benefits, increased number of end-users, and improving research & development activities can be the important parameters for the growing consumption of bioadhesives. The region is further expected to show an improved growth in the future, mainly due to the potential of the packaging & paper, and construction applications’ industries amplified growth in the these countries, such as U.S., and Canada. The North American region accounted for more than 28% of the global market volume share in 2013. The most important application industry of bioadhesive is packaging & paper. It held more than 34% of the overall demand in terms of volume in 2013. Bioadhesives are used to increase performance, binding strength, elasticity, and durability must fit in with the use of natural, renewable, recyclable and biodegradable adhesives in end-use applications, such as in food packaging as it contains mixtures of mineral oil, which does not hamper end consumers’ health in any packed stuffs. Packaging & paper application industry is the main potential segments in the market with superior growth in the next five years. This study basically aims to estimate the global market of bioadhesive for 2014 and project the expected demand of the same by 2019. This market research study provides a detailed qualitative and quantitative analysis of the global market. Various secondary sources, such as industry journals, directories, and other paid databases have been used to identify and collect information useful for this extensive commercial study of the bioadhesive market. Primary sources, experts from related industries and suppliers—have been interviewed to obtain and verify critical information and to assess the prospects of bioadhesive. This research report categorizes the global market for bioadhesive on the basis of its applications and regions, along with forecasting volumes, values, and analyzing trends in each of the submarkets. The bioadhesive market is segmented on the basis of its types, such as plant based, and animal based. The bioadhesive market is segmented on the basis of its applications, such as packaging & paper, construction, wood, personal care, medical, and others applications. A detailed segmentation is done for bioadhesive for the key regions that include Asia-Pacific, North America, Europe, and RoW and further for the important countries in each region. The bioadhesive market is projected to reach $6 billion market size in terms of volume by 2019, signifying a robust growth rate of double digit between 2014 and 2019. The global bioadhesive market, along with its end products, had witnessed an intense growth in the past few years. This growth is estimated to continue in the next five years. High demand for bioadhesives from end-user industry from the developed economies, such as U.S., Germany, U.K., Netherlands, and Japan are the major drivers as per the current market dynamics. Also, such demand is backed by newer applications. The upcoming technological advancements, bio-raw material developments, and innovative techniques developed for the use of bioadhesives are expected to be the key influencing factors in the global market, with increased emphasis on the current cost and their applications. Currently, Europe is the largest consumer of bioadhesives. Among all the countries in this region, Germany and Netherlands are the important consumers of bioadhesives. Germany held the largest share in the regional consumption in terms of volume in 2013. The market size in terms of volume is comparatively low in the RoW, but is estimated to have a developing CAGR between 2014 and 2019. 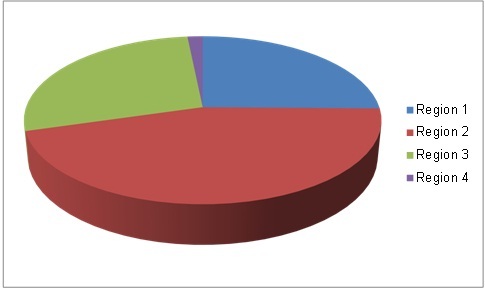 More than 34% of the total bioadhesives demand in 2013 was demanded for packaging & paper application industry. This is due to the increasing environmental & regulatory policies and concern over the use of eco-friendly products and end-user demand for plant and animal based adhesives in different end-user industries. European and North American regions are the most active markets in terms of strategic initiatives, owing to their mature market demands. The superior end-user industry growth, amplified local manufacturing, and increased number of domestic players in vertical market segments, such as packaging & paper, construction, wood, personal care, medical, and others applications in the European and North American region are the important drivers in terms of consumption of bioadhesives. The important bioadhesives manufacturers include Henkel Corporation (Germany), Dow Chemical Company (U.S.), DaniMer Scientific, LLC (U.S.), Paramelt B.V. (Netherlands), Ashland Inc. (U.S.), Adhesives Research (U.S.), EcoSynthetix Inc. (Canada), 3M Company (U.S.), Yparex B.V. (Netherlands), Adhbio (Spain), and others. This report covers the bioadhesive market by key regions and important countries in each region. It also provides a detailed segmentation of the bioadhesives market on the basis of applications, along with its projection till 2019.